Vikings knew the area around Arkhangelsk as Bjarmaland. Thorir Hund raided this area in 1027. In the 12th century, the Novgorodians established the Archangel Michael Monastery (named after Michael the Archangel) in the estuary of the Northern Dvina River, next to Kholmogory settlement. In 1411, Novgorod managed to drive the Norwegians out. 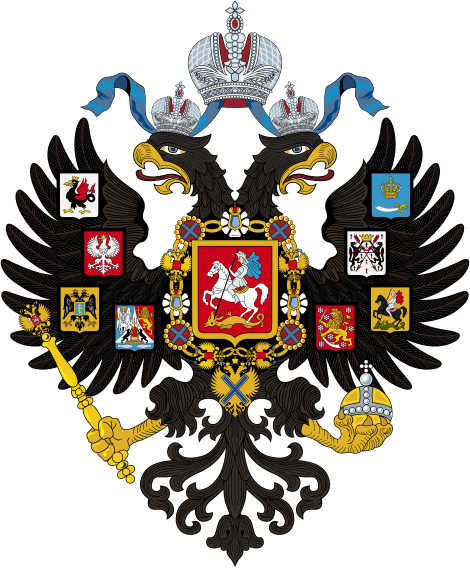 In 1478 the area was taken over by Ivan III and passed to the Grand Duchy of Moscow with the rest of the Novgorod Republic. Trade privileges were granted to English merchants by Ivan the Terrible in 1555, leading to the founding of the Company of Merchant Adventurers. Dutch, Scottish and English merchants also traded in the 16th century; By the 17th century, it was mainly the Dutch that sailed to the White Sea area. In 1584, Ivan ordered the founding of New Kholmogory (which would later be renamed after the nearby Archangel Michael Monastery). 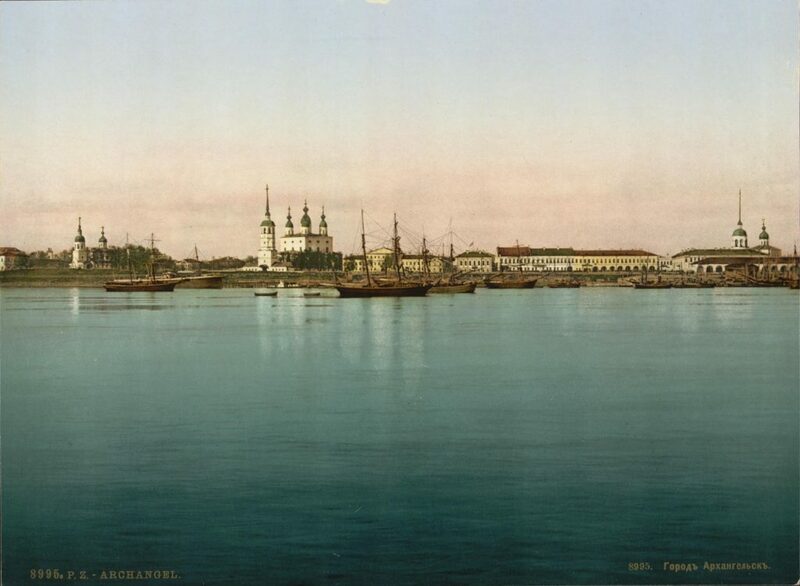 Arkhangelsk was icebound in winter and remained Moscow's almost sole link to the sea-trade mostly controlled by Sweden. Local inhabitants, called Pomors, were the first to explore trade routes to Northern Siberia as far as the trans-Urals city of Mangazeya and beyond. In 1693, Peter the Great ordered the creation of a state shipyard in Arkhangelsk. A year later the ships Svyatoye Prorochestvo (Holy Prophecy), Apostol Pavel (Apostle Paul), and the yacht Svyatoy Pyotr (Saint Peter) were sailing in the White Sea. Peter realized that Arkhangelsk would always be limited as a port due to the five months of ice cover, and after a successful campaign against Sweden in the Baltics, he founded St. Petersburg in 1703 that contributed to the decline of Arkhangelsk in the 18th century. Arkhangelsk's economy revived at the end of the 19th century when a railway to Moscow was completed and timber became a major export. The city resisted Bolshevik rule from 1918 to 1920 and was a stronghold of the anti-Bolshevik White Army supported by the military intervention of British-led Entente forces along an Allied expedition, including a North American contingent known as the Polar Bear Expedition. During both world wars, Arkhangelsk was a major port of entry for Allied aid. Solovetsky Courtyard in Arkhangelsk - Solovki Monastery. Solovetsky Monastery - Solovki Monastery. Channel. Solovetsky Monastery - Solovki Monastery. Bridge. Solovetsky Monastery Docks - Solovki Monastery. Solovetsky Monastery Gun Chamber - Solovki Monastery. Solovetsky Monastery Hotel - Solovki Monastery.